While many nonprofits are interested in a grant writer’s past success rates as a measure of potential future performance, this metric provides little in the way of proof of a grant writer’s work product, skill as a grant writer, or likelihood of writing successful grant proposals. A grant writer’s success depends on a myriad of other factors, including organizational grant readiness, quality and timeliness of the documents and other material requested by the grant writer, the grant writer’s ability to identify appropriate funders whose priorities are a good fit with an organization, and a host of other factors, some of which have little to do with the grant writer’s skill. The overall success of a grant writer should ultimately be measured by whether or not the organization for which that person is writing grants is building relationships and program credibility with funders and achieving incremental increases in grant funding revenues. 3. If submitting applications to a combination of existing and new funders, an organization should expect a success rate of between 50 and 60 percent. • Has the organization set realistic targets for achievement? Some nonprofits ask a grant writer to submit an arbitrary, but large number of proposals each year. To meet this target, the grant writer may use the “shotgun approach” and submit the same generic proposal to a large number of funders as a time-saving approach, without proper research or cultivation. As a result, the success rate for this approach is likely to be low. • Does the organization have strong programs that meet a clear community need? Grant proposals have a much greater chance of being funded if they can offer a compelling solution to a well-documented community problem. • Is the organization seeking general operating, endowment, or start-up funding? These types of grants are generally tougher to get than program funding. • Is the organization structurally and fiscally sound? Sometimes the best-written grant proposal can be rejected because the funder has serious questions about the organization’s capacity to carry out the scope of work described in the proposal. • Do the Executive Director and board support the grant writer by actively participating in cultivation and stewardship of funders? Top level cultivation of funders is essential for success. • Has the grant writer been involved in the budget-making process? Too often, grant writers are asked to bring in a certain amount of revenue based on the needs of the organization’s budget, rather than on what is reasonable and possible. By involving the grant writer in the budget development process from the outset, the organization can set realistic and achievable revenue targets and avoid a budget crisis later in the year. • Quality of grant proposals: clarity of writing, ability to answer funder’s questions, write a compelling argument for funding, etc. • Quality of funding research. A breakdown of the most common reasons a grant proposal is rejected — some of which are outside of the grant writer’s control. 1. The foundation liked the idea but didn’t fund it: This is one of the top reasons an idea gets rejected despite having an excellent grant writer. Perhaps the board of directors of the foundation in question spent all of the allocated funding on pet projects before they could get to your proposal. Or maybe there were so many good ideas to fund that there just wasn’t enough money to go around. This sort of thing happens behind the scenes and doesn’t reflect at all on the strength of your proposal. 2. The organization wasn’t well prepared: I’ve come across this problem often: An organization asks a grant writer to step in to write a specific grant proposal they’re set on, and the grant writer takes their word for it that they have all the details ironed out. But the organization can’t get everything the grant writer needs together in time, so details are thin and the proposal is weak despite the writer’s best efforts. 3. The grant opportunity wasn’t a good fit: Often proposals are rejected because they don’t fit with a funder’s stated (or unstated) interests. This is either due to sloppy prospect research or a lack of information from the funder. I have recently been following a number of discussions on the provision of performance statistics in order to demonstrate a positive return on investment for potential clients. 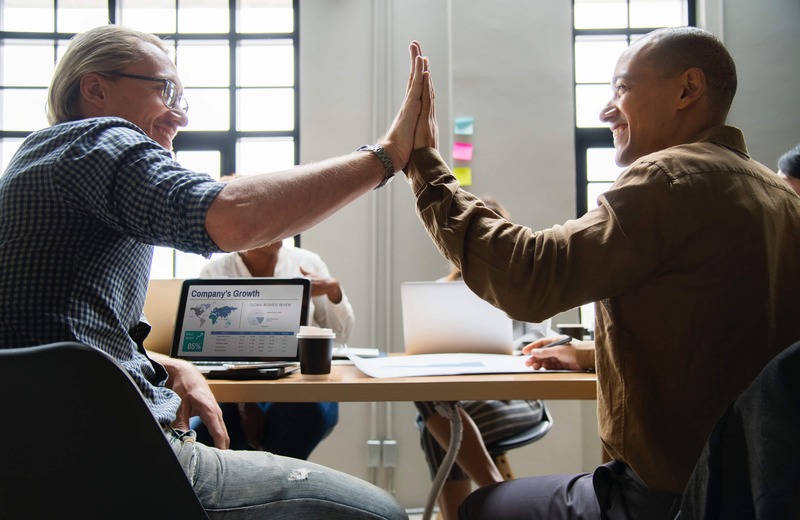 Success would seem to be a relatively reasonable thing for a client to wish to consider when deciding whether or not to hire a grant professional and, particularly, whether or not to spend precious dollars on them. In fact, the demand for such metrics is becoming the norm, especially as individuals with backgrounds in other, for-profit disciplines are increasingly coming to dominate nonprofit boards of directors and as budgets become even tighter. But, are grant professionals responding by, essentially, putting lipstick on a pig? My guess is that, while there are useful data that can be provided to a potential client for them to evaluate the quality of a grant writer’s work, much of the data that is provided consist, largely, of misrepresentations, especially that which pertains to success rate percentages. I don’t mean to imply by this that grant professionals set out to lie. But, in response to the often direct demand for dollar figures and success rate percentages that will lend credence to a decision by someone to hire an outside professional to do what has largely been done in-house in the past (and, likely, poorly), we are tempted to stretch the truth by claiming what I can only assume are success rate percentages that only the wholly uninformed would believe. I have seen advertised success rates hovering at or above 90%. It may even be possible for a grant writer to make such claims in cases where all the legwork has already been done, including being invited to submit a proposal after having done all of the research (i.e., matching of client needs to funding source priorities, solicitation of the client, etc. ), as well as writing and submitting the grant and having it reviewed by an audience (who should already be positively predisposed to funding the submitted proposal). Just how does one quantify all that work? For example, how can a grant writer demonstrate success in prospect research or in making contact with funders or in writing letters of inquiry, etc.? But, aren’t we also asking to be paid for all the services that lead up to that point? Just how does one quantify all that work? For example, how can a grant writer demonstrate success in prospect research or in making contact with funders or in writing letters of inquiry, etc.? If, after doing all of that, a grant professional were asked to submit only one or two grants and they were funded, they would have a perfect success rate. But, what about all of the entreaties made to foundations or government sources that were either rejected or ignored? What about all the time it took to receive notifications of these efforts being less thansuccessful? These essential activities are not the kinds of things that either lend themselves to or are reflected in success rate percentages. Conversely, what if a grant writer’s efforts lead to a great number of invitations to submit proposals? Given the extremely competitive nature of the process, most in this situation would likely wind up with many more rejected proposals that those that were funded. Again, what would providing a percentage demonstrate? I would even assume that someone in the latter, frustrating situation would be more than a little tempted to paint a rosier picture than would otherwise be possible. So, what kind of data is useful (and truthful) for clients to consider when they are trying to decide whether to engage the services of a grant writer? Some of the ideas I’ve seen included providing the status of proposals, including those that have been planned or pending, as well as whether they’ve been funded or denied. I’ve also seen a suggestion to measure the percentage of applications reviewed against awards made, though grant writers are not often privy to such information. I often advise potential clients to consider the costs of not applying versus doing so, both in terms of the bottom line and in terms of fulfilling their missions, among a number of other things. As an old advertisement for the NY State lottery used to say, “You gotta be in it to win it.” But, what else do you suggest? I’m all ears (if not lips). About the Author – David Lipten, Ph.D., has written winning federal grant proposals on behalf of a number of electric utilities, garnering nearly $40 million in U.S. Department of Energy grants, among other successes. He is based in Tallahassee, FL.